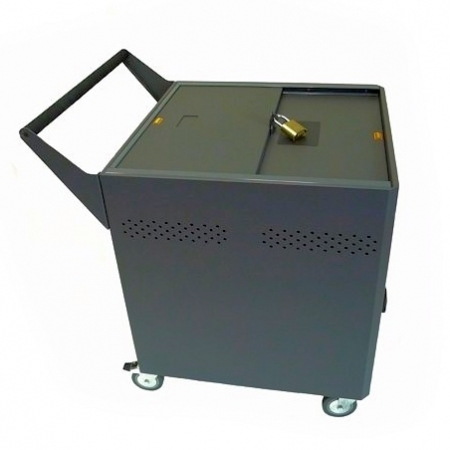 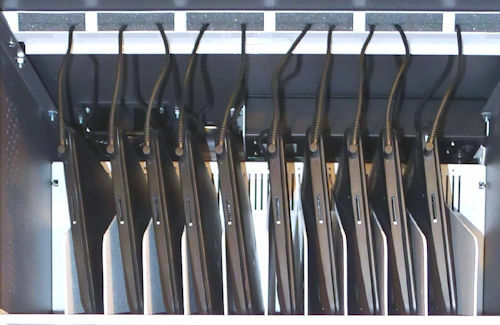 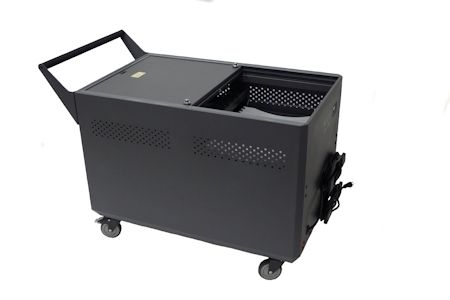 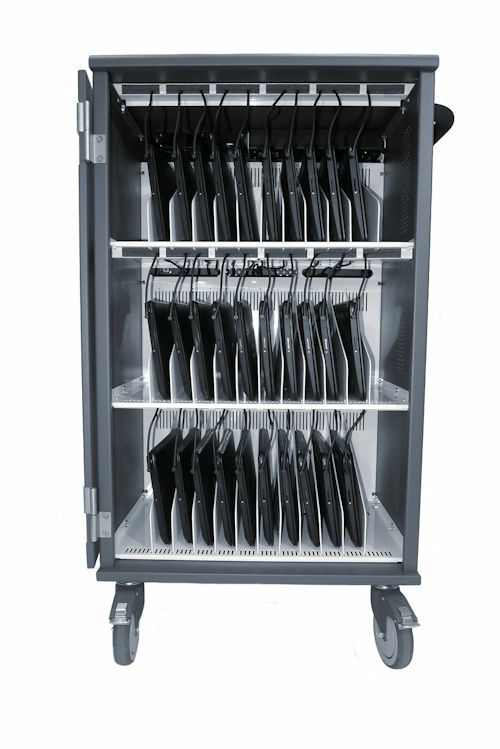 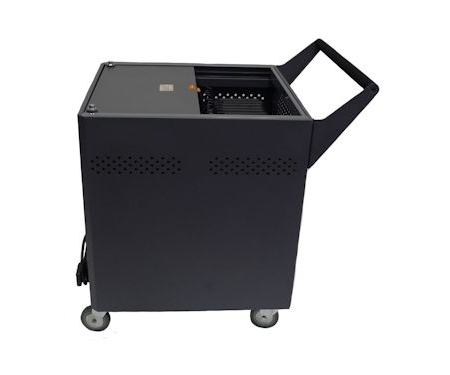 The UNIVAULT-30 cart charges 30 Chromebooks or tablets. 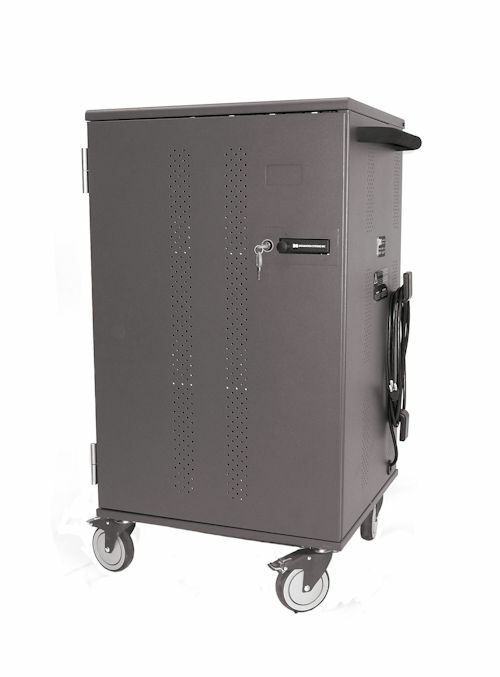 This innovative and secure three-point locking system: simply the most secure cart of its type, anywhere. 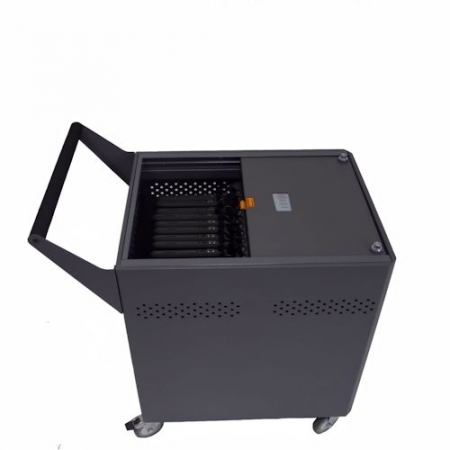 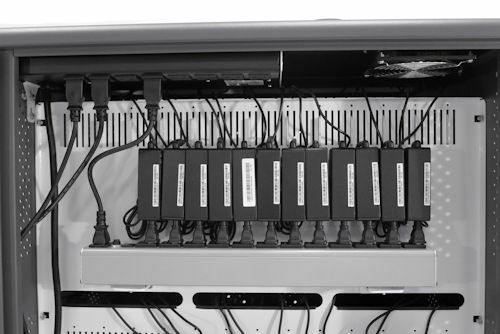 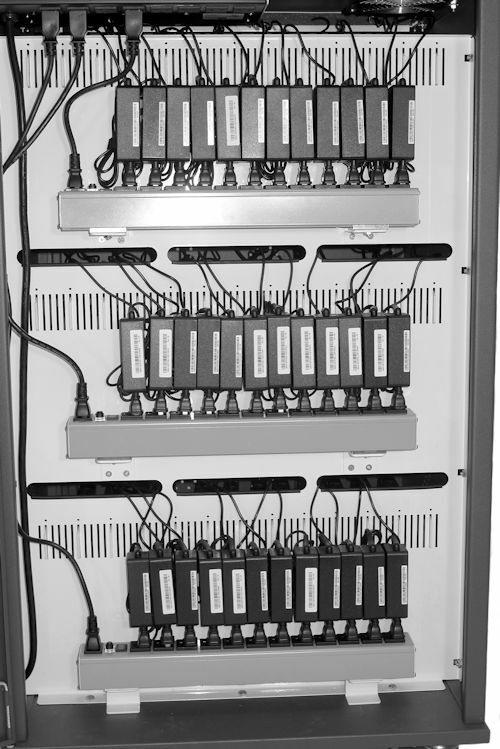 Power supply bricks plug directly into IEC adapted outlets, removing 108 feet of cabling, making the installation/integration of the cart quicker and neater than any conventional cart (QUICKSET). SKU: ds-univault-30 Category: Carts Tags: Chromebook Charging Carts, Security Cabinet for Chromebooks Brands: Datamation Systems, Inc.. 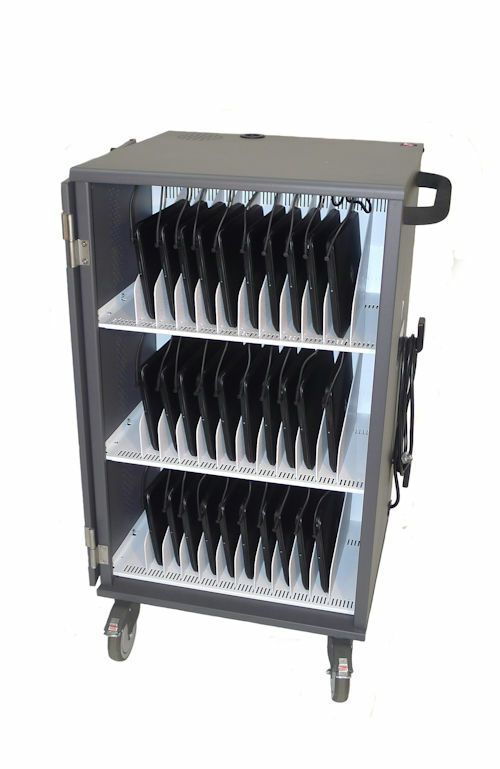 Charging Cart for 30 Chromebooks or tablets. 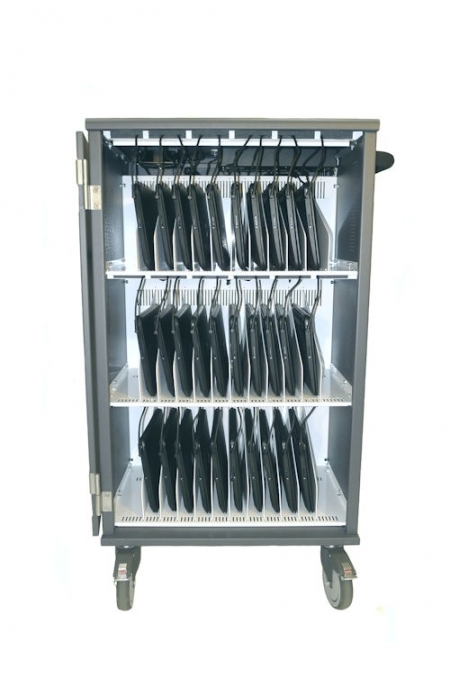 The Univault-30 Chromebook cart offers highest level of security in the industry while charging your devices.